The fact that the West Concord Dance Academy has endured for 30 years is impressive enough. But when you consider that it has managed to attract children and their parents since 1978 with nothing more than a plain brown shingle outside to draw attention, the question arises as to how director Robin Magee explains her success. After all, trends in children's activities change. What little girls in Concord did for recreation in the 1970s is different from what they do today. Yes, Magee concedes, it's true anecdotal evidence suggests that soccer and karate are surpassing dance and skating as the favorites of young females in the Boston suburbs. According to Dr. James Humphrey, author of the 2003 handbook "Child Development through Sports," as well as several other sources, the most popular individual sports for girls in the United States today are gymnastics, swimming, track and field, golf, and fencing, while basketball, softball, volleyball, and soccer top the list of team sports. Few would dispute the regional popularity of soccer; the US Youth Soccer Association says that 3.2 million youngsters are enrolled in soccer programs. Although there is no analogous professional or ganization to provide numbers of young dancers, Magee and other dance studio proprietors said parents still want to see their children develop muscular strength and poise, and the wishes of young children to put on fancy costumes and appear on stage are eternal. 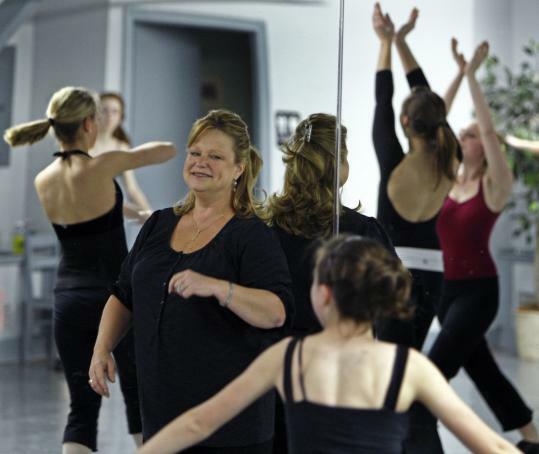 Magee is one of many business people meeting that need: She is among 500 members of the Dance Teachers' Club of Boston, a 95-year-old organization that maintains professional standards for dance teachers. Susan Brock, who was raised in Concord and now lives in Sudbury, is a second-generation customer. She studied dance with Magee as a child and now sends her two daughters, ages 6 and 11, to the West Concord Dance Academy. The studio, which has about 450 students, is "home, it's my family - it's hard to imagine sending my children anywhere else for ballet," Brock said. Magee's studio is not the only one in this area that has been in business for decades. Among those that are older, the Acton School of Ballet has been in business for 40 years, and the School of Ballet Arts, which runs classes both in Lexington and Concord, for 45 years. Jennifer Glaze has danced professionally with troupes all over the country, but she said Magee's focus attracted her to join the 13-person faculty once she retired as ballet mistress with the Boston Ballet Company. "We have the same love for the art form and the same sense that, as a teacher, our job is to instill in each kid a love of dance and a passion for the art form regardless of where they go with it," Glaze said. "No matter whether they end up being professional dancers, doctors, lawyers, or the president, we've instilled in them a good education in the art form as well as skills that hopefully transfer to other aspects of their lives, such as discipline and determination." Certainly the attitude of young girls toward athletics has changed over 30 years, Magee said. When she opened the studio in the late 1970s - charging $20 a month per class, a third of what it costs now - dance was often a girl's only athletic activity. Now, most of her students maintain a full schedule that might include fencing, soccer, softball, hockey, and martial arts. Moreover, she said, her students have much busier schedules in general than they did in past decades: academic tutoring, religious education, music instruction, and other recreational extracurriculars along with sports factor into a typical day for them. "As they grow older, my students have to choose which activities they want to continue with," said Magee. "Having to make those choices improves their focus, their commitment, and their time-management skills." As director of the School of Ballet Arts in Concord and Lexington, Jean D'Urbano has instructed students in classical ballet for more than four decades. She agrees with Magee that girls are more athletically well-rounded than they once were, but she said the biggest change in her business is the trend toward dance as therapy, which the American Dance Therapy Association defines as "the psychotherapeutic use of movement as a process which furthers the emotional, social, cognitive, and physical integration of the individual." Established in 1966, the association lists 1,200 certified dance/movement therapists in 43 states, and D'Urbano believes that an increasing number of her dance program alumnae will be among them. She is about to offer her first class specifically addressing dance as therapy. "Children with physical limitations gain so much from the muscle control and balance that dance instills in them," she said. In the past decade, D'Urbano said, she has also witnessed a trend that she views less favorably: an interest in competition. Girls who study with her are often also involved in skating and gymnastics, sports where rankings and competitions are a regular part of the program. She said she has resisted pressure to train her students for competition because she believes that the format of dance competition takes away from what she believes are the more important skills to be learned: ballet technique, self-discipline, and an overview of dance history. Chip Morris, the third director/owner in the 40-year history of the Acton School of Ballet, said that the most positive changes to affect young dancers today pertain to health concerns. "In the 1970s and 1980s, most adult dancers were smokers, and it wasn't unusual to see a dance teacher smoking in class," he said. "Now dancers are much more health-conscious." It's not just in terms of good nutrition and avoiding the industry's pervasive eating disorders, it's orthopedic as well, said Morris. "Dancers, and in the case of young students their parents, pay much more attention to injuries than they did when I began dancing," he said. "Once, if a girl turned her ankle in class, we'd tell her to stay off it for a few days. Now her parents are likely to take her straight in for an X-ray." Magee said she hopes to see her business endure for another three decades, or more. "What we have more than anything else backing us up is word of mouth," she said, trying to explain her studio's longevity. "In the village of West Concord, there's a very strong sense of community that unites the businesses, neighborhoods, and families that patronize the area. We are a tight network and extremely supportive of each other. I feel very blessed by that." Nancy Shohet West can be reached at nancyswest@msn.com.